“No,” he spoke. It was the mythological moment in the Planet of the Apes the redefined the world. It is also the word that most parents wish they never taught their toddler. Rise of the Planet of the Apes continues the post-millennium Hollywood franchise crisis, but surprisingly, the reboot of this cherished franchise seems to transcend a mere wish to bank on memories of the 1968 original. Will Rodman (James Franco) is testing an experimental drug designed to curb or reverse Alzheimer’s Disease on chimpanzees. Bright Eyes, one of the primate subjects, escapes and causes extensive damage to the Gen-Sys campus, forcing CEO Steven Jacobs (David Oyelowo) to shut down the drug’s research. While Bright Eyes was shot dead, she left behind her baby, which Will hides at his own home and names him Caesar (Andy Serkis). Will instantly recognizes that the drug had been passed on to Caesar through birth and notices that Caesar’s intelligence and reasoning grows exponentially. I grew up and loved the first five Ape films and loved the political, racial, and existential themes. I never saw the apparently egregious Tim Burton remake, and scoffed at the announcement of Rise as a prequel. Something in me said to give the film a chance and the film certainly delivers. The original series has a spiral-like plot that would end up creating an alternate timeline where both apes and humans both co-exist. The series had intersected the Civil Rights movement, fears of nuclear warfare, and other Cold War anxieties to give us an iconic cinematic treasure. But the film series and television series had ended (the latter of which without a finale); what could a prequel provide that the others did not? Ethnic and religious tensions have arisen and multi-national fears of terrorism have re-instituted similar anxieties making Rise of the Planet of the Apes a welcomed reboot in terms of social and political issues. The film’s plot is efficiently paced and takes no time to setting up the world and the conflicts that will arise. 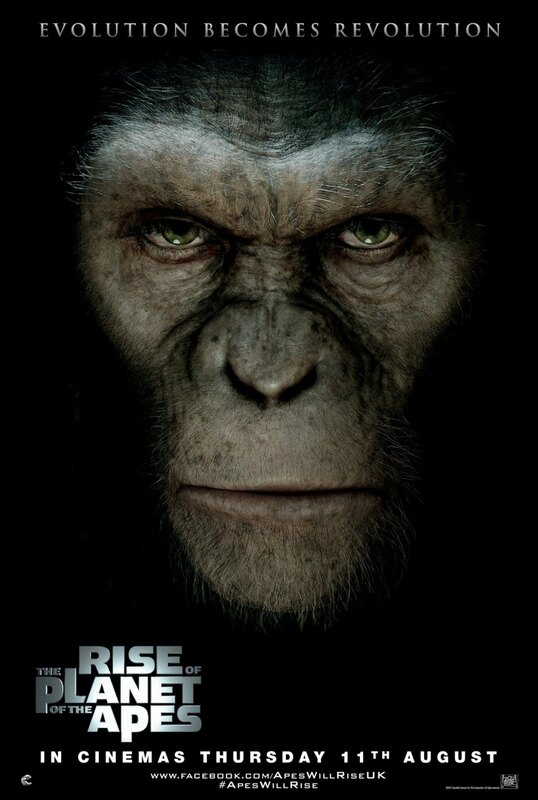 With only a few subtle references acting as foreshadowing to the events in the other films (one of which was egregious and unnecessary), Rise is uniquely original and has a plausibility in terms of the fictional Planet of the Apes world. The film actually packs a large amount of information in a small package, and one of the largest differences between this film and the original series is the extensive use of cross-cutting. Of course this works in Rise because the sophistication of the audience has grown and is almost required to retain attention. Hollywood loves to produce films that represent human anxieties of being taken over and eradicated by either aliens, robots, or even zombies. That is where a reboot of Planet of the Apes fits in. We have forgotten how close we are to simians and how often we take the links for granted. The current culture wars have again placed Evolution and Creationism (and its monozygotic twin, Intelligent Design) at the center of the future of education in America. While the film certainly considers the consequences of assuming a position of god, but it highlights the need to unite. Caesar uses his intelligence and growing ability to reason to befriend an orangutan and a gorilla, who will later assist in Caesar’s leadership in eventually dominating the human race. By uniting different species, Caesar is able to launch a three-front attack. As a sophomore effort, director Rupert Wyatt has instantly proven himself to be a talented individual. Certain shots in the film exhibit more filmic presence and intelligence than most of the original five films combined. While it has been almost forty years since the last original Ape release, Wyatt has taken the Planet of the Apes concept to a new zenith that resonates with social and political conflicts facing America today. Workaholic James Franco has stepped up his game, and provides a more than adequate performance. John Lithgow portrays Will’s father with aplomb, the catalyst for Will to obsess about curing the disease. Last, but certainly not least, is Andy Serkis, the CGI world’s go-to guy for the foundation of a simian presence in film. His portrayal of Gollum in the Lord of the Rings Trilogy and as King Kong in the Peter Jackson remake have assisted him in giving Caesar the heart necessary to evoke a certain realism. The film also presents us with an accomplished precedent in CGI. The apes in the film have a realism that has further blurred the lines of how well live-action and CGI can interact with each other. Not once during the film does the CGI break the suture or plausibility of the film. 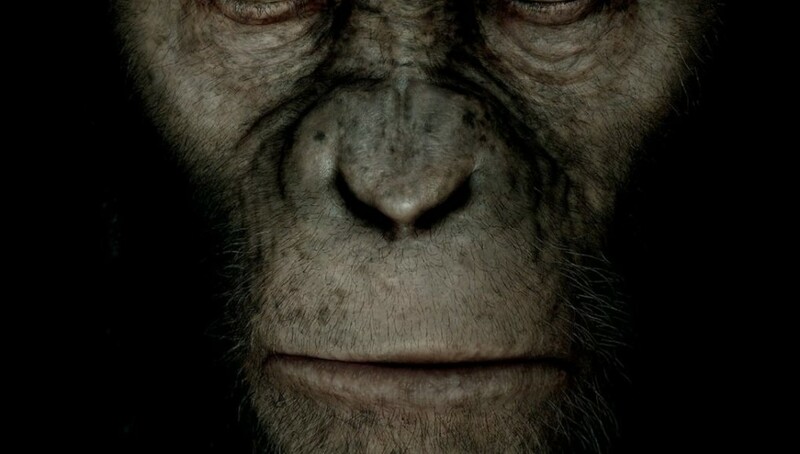 While I have been outspokenly critical of 3D in the past, films such as Rise of the Planet of the Apes offer a positive example of how CGI can be properly implemented. With higher quality film stock and high definition digital capture, a man posing as an ape could never pass to a more sophisticated audience, and using live primates would most often be unethical. While the decision to use CGI is the obvious choice, the filmmakers and animators have collaborated to create a more realistic vision of the end of human dominance. Rise of the Planet of the Apes premiered on the date that America lost the golden and dominant AAA rating from Standard & Poor’s. The defiance that Caesar showed relays the defiance from rating agencies (the same ones who thought CDOs were also worthy of AAA ratings). On the eve of the rise of the Apes it is the possible downfall of the most historically dominant national economy. This reboot of Planet of the Apes may indeed be a vessel for the anxieties that face American citizens as we venture further into the twenty-first century.